The Accoona has been created by Mike Lee who is now looking to raise $20,000 to help take his design to manufacture and on to the desk of backers worldwide. 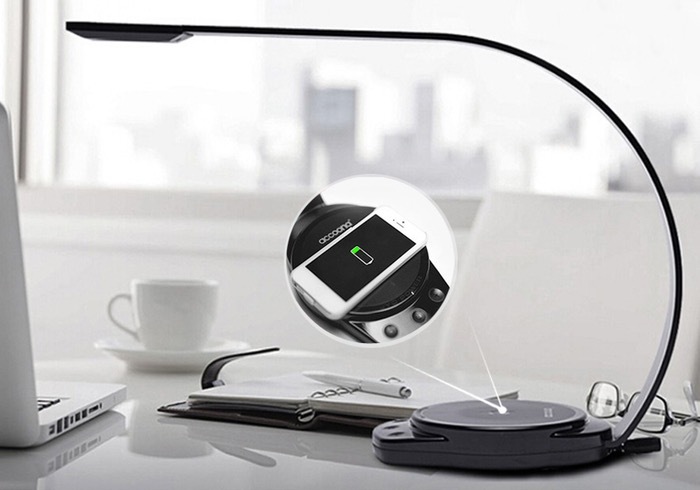 “This LED table lamp enables wireless charging with a magic charging dock. Minimally designed and made of magaluma, the lamp with a super-bright 6w led light and a touch switch will certainly be a best companion for your work,reading and life.